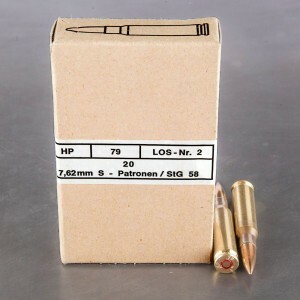 .308 Winchester ammo and the 7.62x51 cartridge are very similar to one another but are not technically identical. 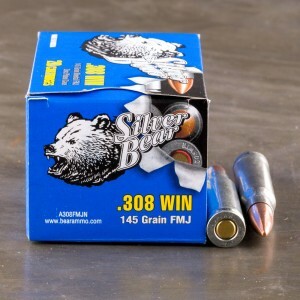 Despite the minor differences, the Sporting Arms and Ammunition Manufacturers Institute has deemed the cartridges safe to use interchangeably. 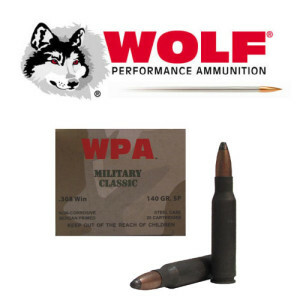 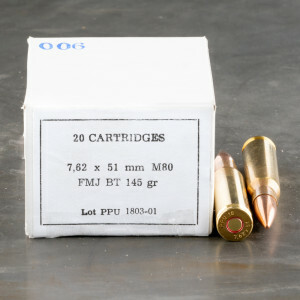 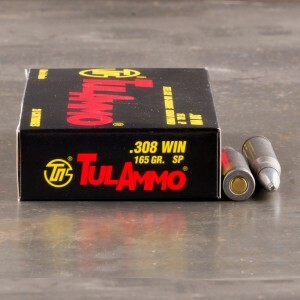 The commercial load, .308, is an incredibly popular round among recreational shooters and hunters in the United States. 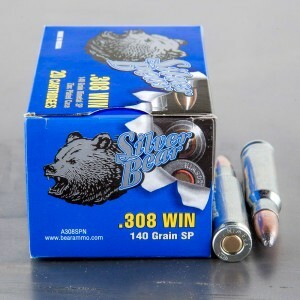 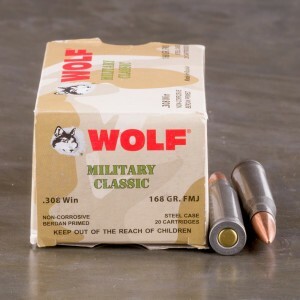 Widely used to take down game such as whitetail deer, .308 with a specialty bullet can also be used to take down much larger game like caribou or black bear. 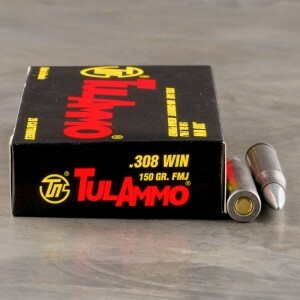 Look for a number of soft point and expanding bullets available to hunters looking to use .308 in the field. 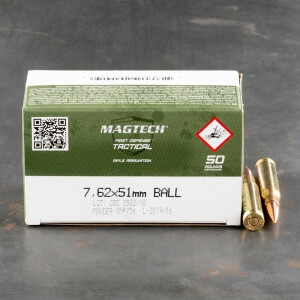 Among these, Hornady's Interlock, Remington's Core-Lokt and Federal's Fusion line-up are extremely popular .308 cartridges for sale. 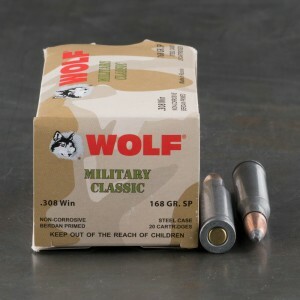 I bought two cans of Malaysian .308 and fired all 1080 rounds through my M1A1, no issues at all. 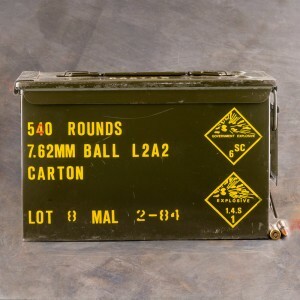 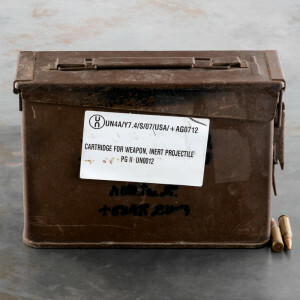 This stuff was accurate per my marksmanship out to 300 yards with iron sights. 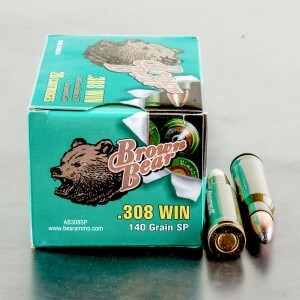 Approved for Hunting on California State Lands, though expensive. 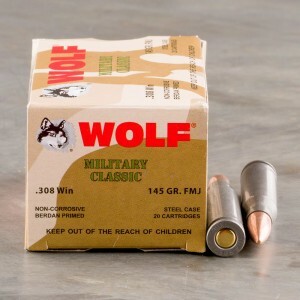 Too bad Diane Feinstein won't let us buy ammo online; Mommy has to approve everything in CA, except pot, freely available. 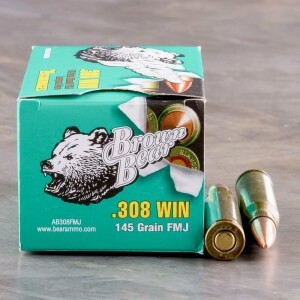 Will deer munch on bails of marijuana? 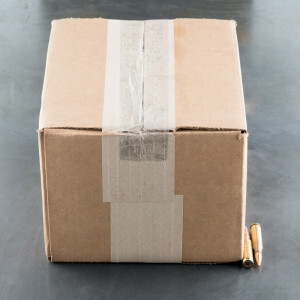 Is it legal to convince a stoned deer to hop in the bed of the old Ford?